Despite how advanced our digital televisions and premium television boxes are, searching for our favourite programmes or finding out more about upcoming shows can be a cumbersome process: especially when it’s so easy to flick on your phone, tablet, or laptop and find everything that you could possibly want in a few seconds. Here is a selection of the best online TV guides and tools to make finding great programmes easy. Some are as simple as flick-through live guides to make seeing what’s on a bit more streamlined, while others offer in-depth information about the shows. This one is the most simplistic of all which will be shown here. Best suited to those who have to see what’s on Freeview, Freesat gives you a live display of what’s on all of the free to view channels as well as what’s on later. Using this TV guide is much quicker than going through your television, and it allows you to quickly browse over the course of the day and the whole week. While it is best-known as a newspaper, the Telegraph offers a quick and easy way to see what’s on each channel regardless of what region you live in and which platform you use. With this tool, you can select the tabs for the day of the week, hour of the day, pick your region, and see the whole guide for Freeview, Sky HD, Virgin, BT TV, and YouView. Additionally, if there’s a specific show that you’re looking for, you can use the in-guide search engine to find it quickly, and then hover over the show in the guide for a quick description. This tool specialises in giving air dates and times for UK and US shows on television channels in the UK and the streaming platform Netflix. Geek Town allows you to scroll down the monthly page to quickly see which shows are on and when, and the website offers a very helpful search engine. Geek Town also has other useful pages, such as an A to Z of TV shows, UK air dates archives, midseason return dates, television show trailers, and renewed or cancelled TV shows. Not only does On The Box provide a UK TV listings and TV guide with time and name search functions, but it also comes with a full blog stocked with features, news, and previews for television shows. On The Box has just about everything that a TV-lover could want or need. TV Guide UK appears as an in-depth TV guide in which you can find any show over the next seven days or last seven days across any platform, genre, or channel; but it is much more than a mere programme search tool. Simply clicking or tapping on a programme in the guide will take you to its page. On the programme page, you’ll find a brief bio, its genre, and quick links to IMDB, Wikipedia, and YouTube so that you can find out more about the show. The programme pages also have an episode guide and offer quick links for you to synch the series to your Outlook, Google, or Apple calendar. Furthermore, you’ll be able to see user ratings, user reviews, and you can submit your own ratings and reviews for shows. 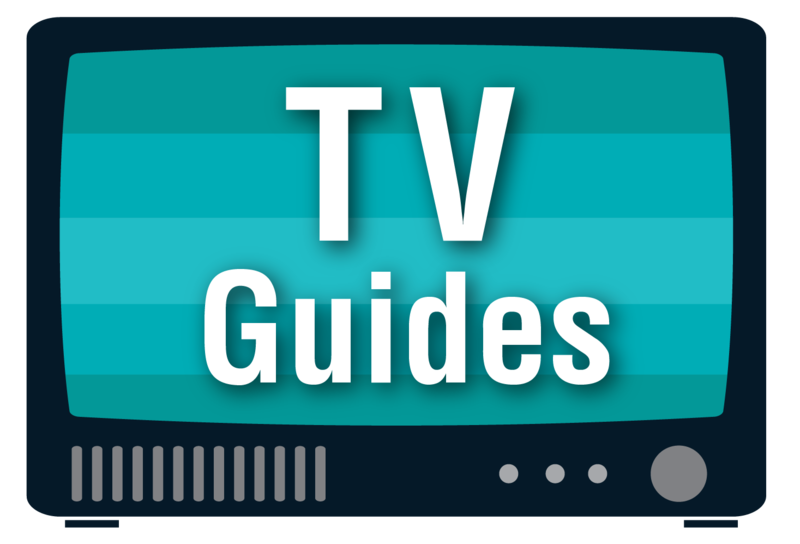 Try out these TV guides and tools to see which one you like the most; one of them is bound to become your go-to source for TV info.